KATHMANDU, June 4: Shortly after making a controversial decision to reopen the single-lane BP Highway for big [32-seater] passenger buses and cargo vehicles [of up to 16 tons], Minister for Physical Infrastructure and Transport Raghubir Mahaseth is now preparing to lift a ban on 20-year-old vehicles. The minister's decision is said to be the result of pressure from the owners of old passenger buses. Although the government had decided to ban 20-year-old vehicles around two years ago, the decision was implemented only in March. About 20,000 vehicles went off the road following the ban. However, only about 300 such vehicles have so far been de-registered and sent to junkyard. Last week, the minister had decided to allow 32-seater buses and cargo trucks weighing up to 16 tons on the BP Highway. In September 2015, in order to avoid increasing number of accidents on the narrow highway, the government had decided to allow buses with up to 18 seats and other vehicles weighing less than 10.2 tons to ply the highway. The decision to ban heavy vehicles had been made on the basis of the recommendations made by two expert committees. At least two sources confirmed that the minister is working to lift the ban on 20-year-old vehicles. A source at the Department of Transport Management claimed that the decision might come very soon but it will be first tabled at the cabinet. “The minister has now come under influence of the owners of those 20,000 vehicles and he is likely take a proposal to the cabinet to lift the ban,” added the source. 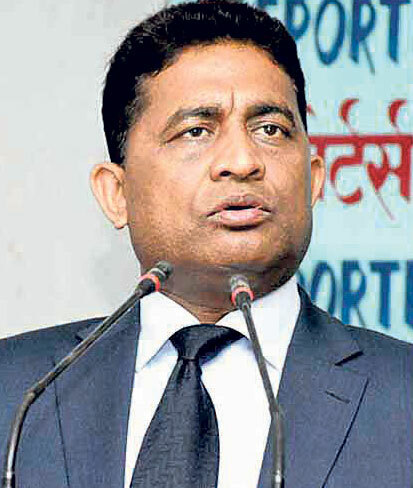 Madhusudan Adhikari, secretary of the ministry, confirmed the development and said it is not fair to send vehicles in good condition to junkyard. “We are working to allow old vehicles in good conditions to operate outside the Kathmandu Valley. But the vehicles will have to pass several other criteria,” said Adhikari. If Minister Mahaseth decides to lift the ban, it would be his third unpopular decision. Earlier, in the first week of May, he had transferred Director General of DoTM Rup Narayan Bhattarai, who had played a vital role to end the public transport cartel. The left government has touted the 'end of syndicate' as one of the top achievements of its 100 days. Later it was revealed that Mahaseth himself was not in favor of ending the cartel, but he appeared powerless before the Prime Minister KP Oli and Home Minister Ram Bahadur Thapa, who were adamant on their decision to end the cartel.